Jamie Victoor and his dad, Rene, have been in the seed business a long time. 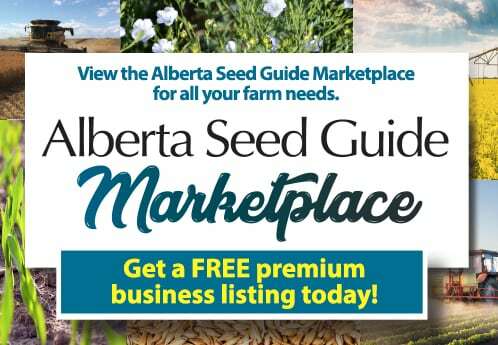 The co-owners of Victoor Seed Farm Inc. located about 15 kilometres west of St. Albert, Alta., have more than 90 years of seed growing experience between them. Even with their wealth of seed growing experience, the Victoor family always strives to keep on top of agronomic trends. “We do a lot of research ourselves and we go to a lot of crop tours and also check out the latest information coming out of each of the research and breeding stations, to see which varieties might work agronomically in our area and also will be best suited and adapted for the end consumer as well,” says Victoor. 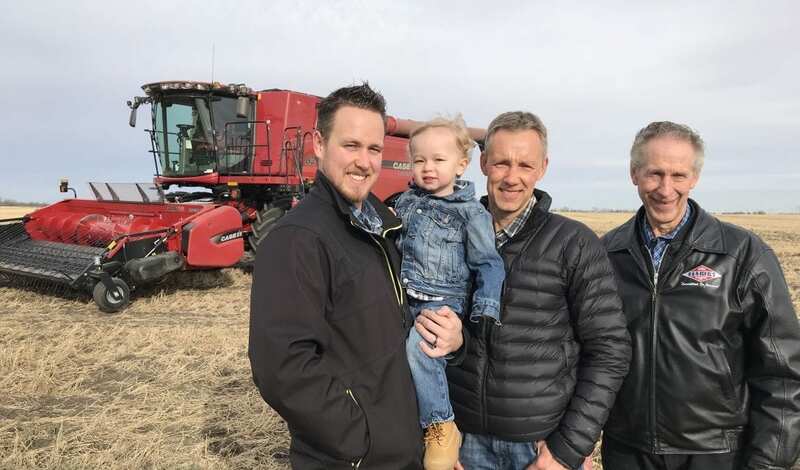 He notes that local grower meetings, including ones put on by Victoor Seed Farm, are an important source of information, as are technical gatherings such as Edmonton’s yearly FarmTech conference and the Canadian Western Agribition held annually in Regina, Sask. Victoor, who’s 54, grew up on the farm, which was founded by his great-grandfather in 1919. His grandfather took over the farm and started producing seed in the early 1950s. Victoor’s father and uncle established Victoor Seed Farm Inc. in 1959. Victoor started full-time work at the farm shortly after high school in 1983. He and his wife, Deanna, have three sons — Justin, 32, Jesse, 29, and Jayden, 26 — and a daughter, Jori, who is 22. Jesse has been working full time on the farm since 2012, while his three siblings also pitch in when needed. Victoor Seed Farm produces a range of pedigreed seed, including Canadian Prairie Spring wheat, Canada Western Spring wheat, malting barley, oats and peas. Canola is also grown on the 2,300-acre farm. Most of the pedigreed seed produced by the Victoors is sold directly to local growers through a retail operation on the farm. The remainder is purchased by farmers in Alberta, Saskatchewan, British Columbia and, occasionally, North Dakota. Victoor notes it’s becoming less common for independent seedsmen like himself to be able to sell directly to growers and not have to rely on providing wholesale products to large companies and conglomerates coming into the seed business. Victoor says customer service could be seen as one area that separates his business from some of the bigger seed players. Victoor sees innovation as an important part of any successful seed operation.“It’s pretty well a given. Technology is here to stay, and it just keeps getting more and more advanced,” he says. Victoor says his farm makes extensive use of satellite imagery during the growing season, relying on weekly satellite maps to help identify areas within fields that may be deficient in water or suffering from weed or pest problems. He adds innovations such as GPS and semi-autonomous farm vehicles have also made farm operations more productive and efficient. Keeping seed crops and varieties separate is always a key concern for seed producers, Victoor says, noting that it requires a lot of due diligence. He points out that Victoor Seed Farm has many different-sized bins and a clear demarcation system for isolating seeds, and that there are rigorous procedures for cleaning seed drills, cultivators, combines and swathers to ensure fields remain [genetically] pure. Large air compressors and gas blowers are used to clean the farm’s seed drill and other equipment, says Victoor, adding that eight hours are typically spent cleaning out the combine in between harvesting different varieties of wheat. Victoor says the farm always ensures it’s properly prepared for CFIA audits, which take place every two years. “They’ll check our storage bins to see how they’re marked, and then we also have to keep samples of our grain, clean and rough, for two years past the last date of sale of that particular lot of grain,” he says. Victoor says the farm performs some of its own seed cleaning. “When we get new breeder seed from a breeding station, we’ll propagate that and then clean those select plots.” For other seed lots, Victoor Seed Farm utilizes commercial seed plants located nearby. Victoor says his farm works with an agronomist who assists with field scouting and helps identify measures to keep the crops clean and healthy. He notes one practice that’s benefitted the farm’s bottom line is sticking with the same fields for different types of seed crops. “After you’ve farmed properties, whether they’re rented or owned, you get to know which kind of grains will grow better on those fields. So certain fields will do better growing wheat, and others will grow better barley,” Victoor says.